Offering access to an outdoor pool, this small suite detached from the main villa is located in Alcaria Cova, 5 km from Estói. Free WiFi is available. Pousada Palacio de Estoi is located in the town of Estoi, just 10 km from Faro, on the grounds of a beautiful 19th-century palace. The air-conditioned rooms feature a contemporary design and are equipped with private bathrooms with bath and shower. Situated 1.2 km from Ruins of Milreu in Estoi in Estói, this air-conditioned holiday home features a terrace and a garden with a year-round outdoor pool. It provides free private parking. Free WiFi is featured . Casa Jasmim is a villa with a year-round outdoor pool, situated in Estói. The property is 5 km from Ruins of Milreu in Estoi and boasts views of the mountains. Set on a cliff and featuring scenic views over the Atlantic Ocean, this apartment is set in a luxurious villa. 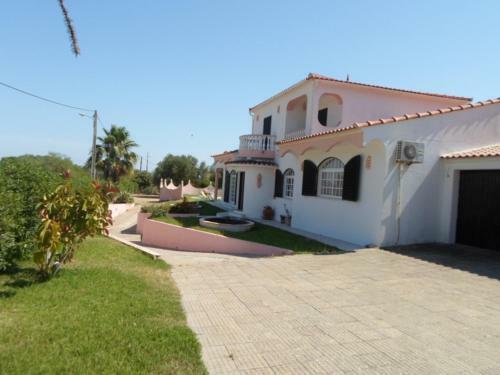 Great Ocean View is sited in Estói, 13 km from Faro and 19 km from the beach in Faro Island.